I can't say enough nice things about Ben Sollee. He's so adorable and talented. This time, he brought some of his adorable and talented friends with him, touring on his new collaboration album called Dear Companion. 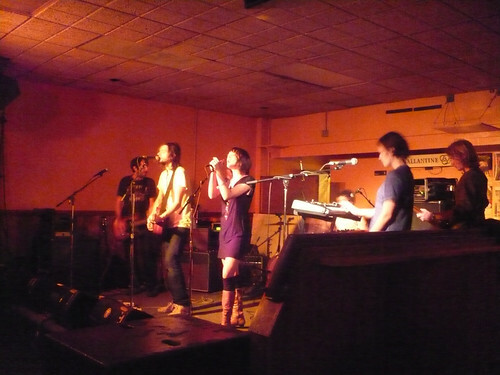 But first, opening was Family of the Year, an LA band that I first saw open for Edward Sharpe & the Magnetic Zeros at the Kent State Folk Festival. This time, they were a little more casual, and quite enjoyable. A nice opener for Ben & company. 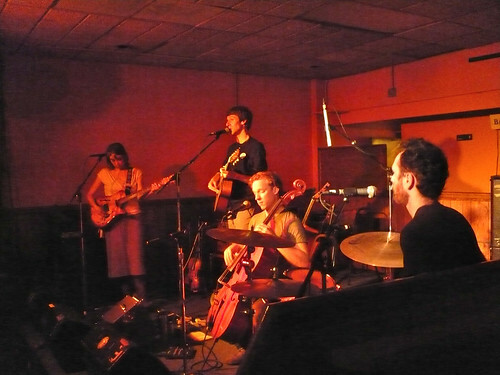 Ben & Daniel took the stage with a woman on violin, guitar and vocals, and a guy on drums. The four of these guys were pitch perfect in their performance. Their voices and instruments just blended seamlessly, but also provided an exciting dynamic to solid songwriting. The show was impeccable. 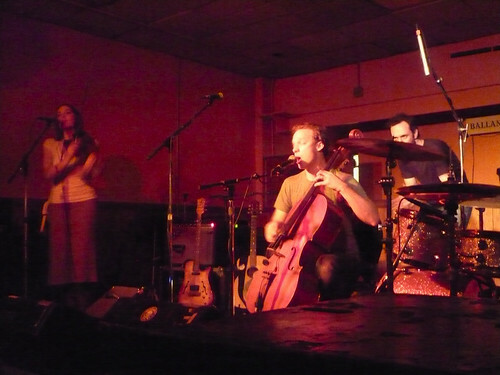 Ben just owns that cello.